I would like to introduce readers to my favourite parenting magazine, JUNO. JUNO offers fresh perspectives in this fast-paced technological world, creating a non-judgmental community for those who are keen to follow a "natural approach to family life." 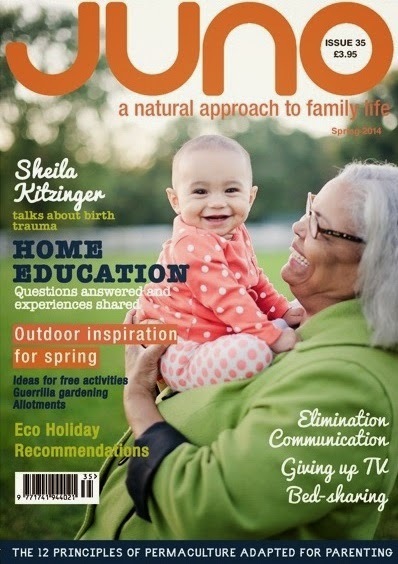 There are columns on home education, empowered birth, teens and nutrition; interviews, crafts and recipe ideas and a mix of features that can help readers make informed choices as they journey through the challenges of parenting.